KOTA KINABALU: Sabah has done well, especially when environment conservation is concerned, and the Duke and Duchess of Cambridge’s visit bears testimony to it. 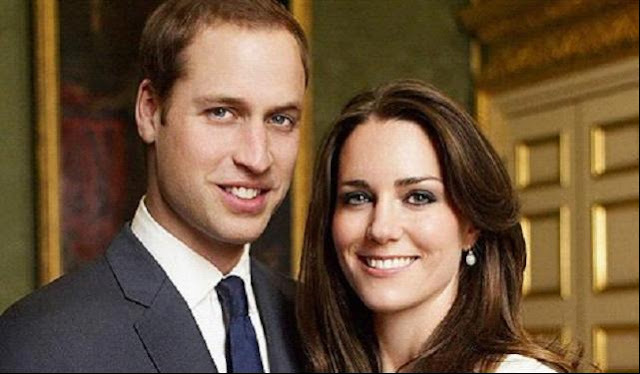 Prince Williams and Kate Middleton will be visiting the state’s Class I (Protection) Forest Reserve, the Danum Valley Conservation Area (DVCA), located on the western side of the upper reaches of the Segama River in Southeast Sabah on September 15. They are currently on their nine-day Southeast Asian and Pacific tour marking Queen Elizabeth II’s Diamond Jubilee. The royal couple is currently in Singapore. “We are pleasantly surprised that the Royal Highness Prince William and Princess Kate have chosen to visit Sabah in this part of the world. I think it is an honour and testimony of the good conservation work that Sabah is doing,” said Tourism, Culture and Environment Minister Datuk Masidi Manjun, yesterday. Met at the Petronas Raya Open House here, he said the Royal Highnesses are expected to visit the Royal Society’s South East Asia Rainforest Research Programme (SEARRP), a British non-governmental organisation that has been working in DVCA for about 25 years. SEARRP was established in 1985 in response to mounting concern over the future of South East Asia’s rainforests and through a conviction that by gaining a scientific understanding of tropical rainforest systems, ecology and dynamics a significant contribution could be made to their sustainable management and conservation, particularly in the context of global environmental change. Although the scope of the programme includes all of South East Asia, their efforts are primarily focused on Sabah. “That itself shows not only the confidence in the international NGO and our policy, which is to conserve, but it bears testimony to the fact that, in a small way, a stamp of approval from the Royal Highnesses on all the good job by our international NGOs, the Sabah Forestry Department and all who are involved in the conservation work,” he said. Prince Hendrik, who is the president of Denmark’s World Wide Fund for Nature (WWF), was a guest of WWF Malaysia and had also toured various conservation spots including Likas Bird Sanctuary, Kinabatangan Floodplain, Sepilok Orang Utan Rehabilitation Centre in Sandakan and Sukau Rainforest Lodge. He visited the 43,800ha Danum Valley Field Centre in Lahad Datu and Maliau Basin, also known as Lost World, which lies in the interior of southern Sabah, and participated in a village home-stay programme in Ulu Padas near the Sarawak-Kalimantan border. “This, for us, again, is an eye opener to many Europeans. Unfortunately Asians and the Third World countries in general are always in the news for the wrong reasons, and we are always being accused of turning our back to conservations, but I think what is happening in Sabah is exactly the opposite. “I think we are doing better than other countries, including the First World countries and I think all Sabahans should be very proud,” he said. Masidi reiterated his calls for the people to continue conserving and preserving the environment. “The tourists come here for nature adventure, they like to see our sea, they like to dive and go to our mountain, and they simply want to go to our jungle because we have pristine jungles. I have said this many times and I want to say it again that for so long as we look after nature and environment, tourists will keep on coming. “In fact I am happy to inform that for the first seven months of this years, the Chinese tourist arrivals to the state had gone up over a massive 40 per cent and this, to me, is again a testimony to conserve nature. Sabah is known to be a nature paradise, and we should keep it that way. I hope the people will understand that the moment we start destroying all the best of nature that we have, it is the beginning of the end of the tourism industry and I think we need to remember that,” stressed Masidi. Kehadiran pasangan di Raja ini sedikit sebanyak telah pun mempromosikan Negeri Sabah ini. Seharusnya kita memberikan respon yang baik dengan kehadiran ini dan bukannya cuba memburukkan Negeri sabah ini. I'm proud that the royal couple gives good testimonial good conservation work that Sabah is doing. Sabah is known to be a nature paradise, people come from all over the world to experience it. We must work hard to preserve it. syabas kepada kerajaan negeri kerana berjaya menarik minat pasangan diraja ini untuk datang melawat Sabah..